Chips, a husky-shepherd-collie mix is a curious and carefree dog until the news arrives that Japanese warplanes have bombed Pearl Harbor. Suddenly Chips' comfortable life, and the lives of everyone he knows in his peaceful village are changed forever. 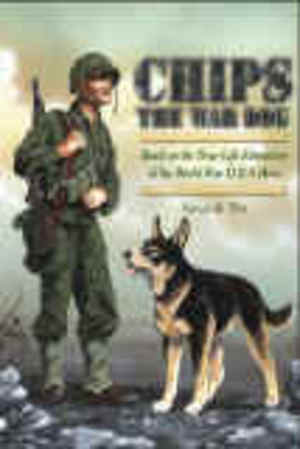 Follow Chips as he is enlisted in "Dogs for Defense" and joins the first war dog detachment to be shipped overseas into some of the fiercest fighting of the Second World War. A fictional account based on the true-life adventures of the most highly decorated canine hero from World War II. Chips: The War Dog is a timeless story about the importance of home, friendship, and loyalty during one of the most challenging times in America's history.